Last summer I shared some tips for communicating effectively if you are called upon to give a presentation at work. If you will be doing something similar in the autumn, why not take a look and see how you can up your game. So far this year I have presented to groups large and small about how to communicate effectively with their target audiences. These sessions have ranged from a large presentation to 70 people at a sector conference to smaller, targeted workshops for teams of 15 people and an information session for 15-17-year-olds on a citizenship scheme. I really enjoy presenting and get a real buzz from talking to a room of people about the difference improving communication can make to their organisation. Don’t get me wrong, I do get nervous, but once I start speaking about this subject that I love, I’m in the flow. 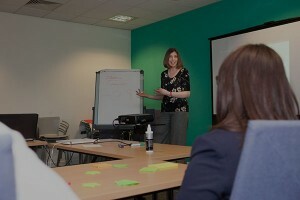 Think about your key messages – what do you want people to remember from your presentation after they leave? Make sure that you emphasise these throughout. The trick is to have just a few, simple messages – don’t be tempted to over-complicate things, because people won’t remember them. Ensure you know your audience and take time to think about what they’re looking for from your presentation, not just what you’re looking to tell them. Telling a story is a great way to convey important messages in a presentation. It helps to make a connection with your audience and engage them in your content. When it comes to slides, less is more, so aim to have fewer slides and less text on each page. If there is too much text, your audience won’t know whether to read the text or listen to you – it’s unlikely they can do both at the same time. 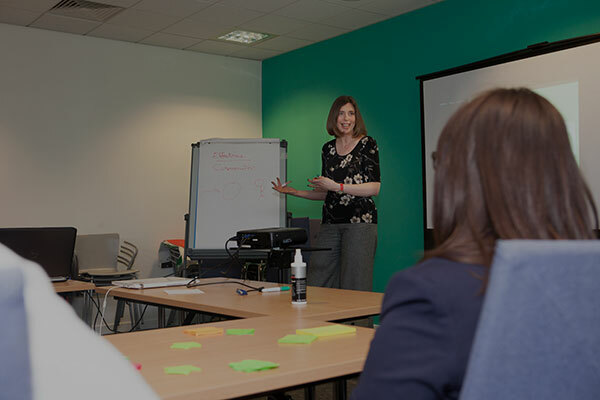 If you can visit and familiarise yourself with the room where you’re delivering your presentation, you may find it will make you more comfortable on the day. Remember to make eye contact with the whole room, not just those immediately in front of you. And don’t worry if they’re not smiling – very few people smile naturally when they are paying attention to a speaker. Don’t read from the text on your slides – your audience could do that for themselves. You should be adding to the information on the screen, not simply repeating it. Taking a sip of water can be a good way to pause to gather your thoughts or put a natural break in your presentation. I often provide a communications toolkit for my clients that includes tips like these. The toolkit is a set of resources that they can use to plan and deliver effective communications for their organisation. I am very aware that if you’re not used to planning and delivering communications, it can be daunting to do or even to know where to start. What are your top tips for presenting with confidence? I’d love to hear what works for you. If you would like to know more about the toolkit, please get in touch.